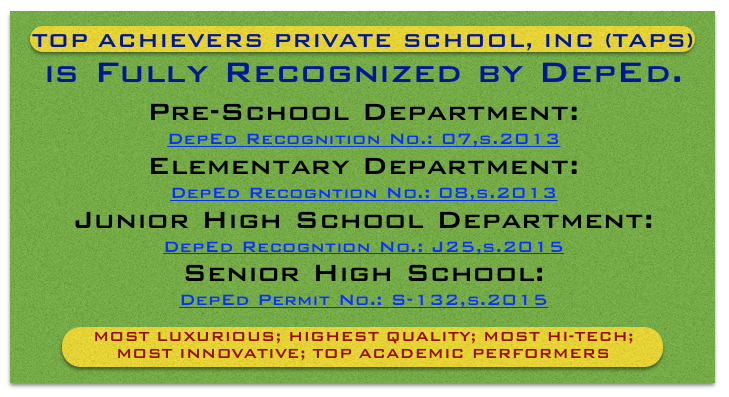 Cauayan classes shall be opened! 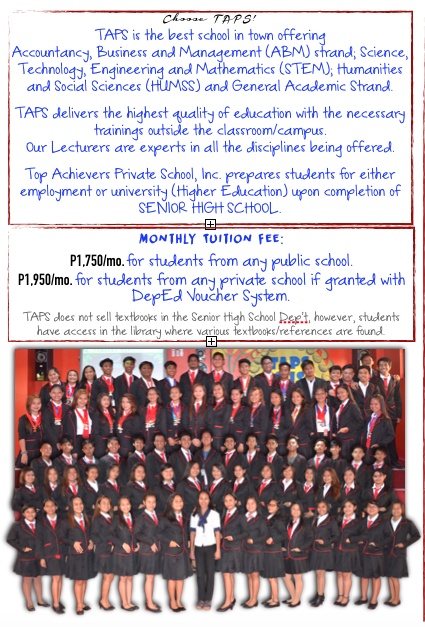 TAPS will train every student so that they will become very competent in academic track after Grade 12. 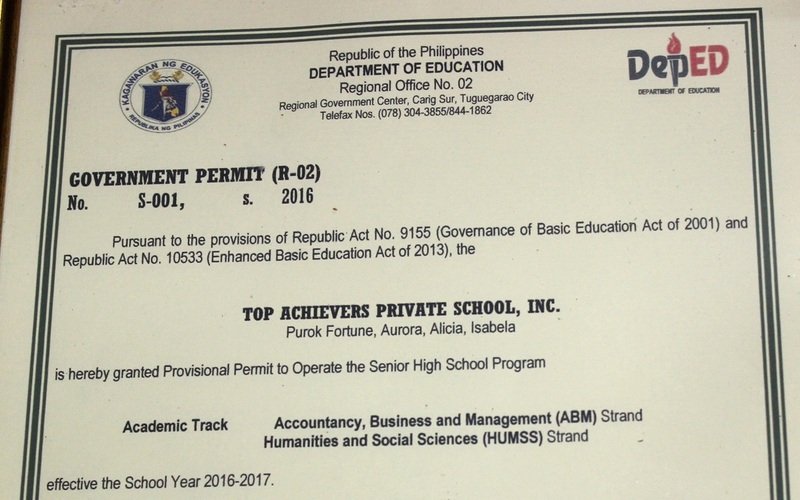 TAPS shall be implementing the use of latest technology to educate students, and the softwares/programs needed in Accounting, Business and Management courses shall be used. 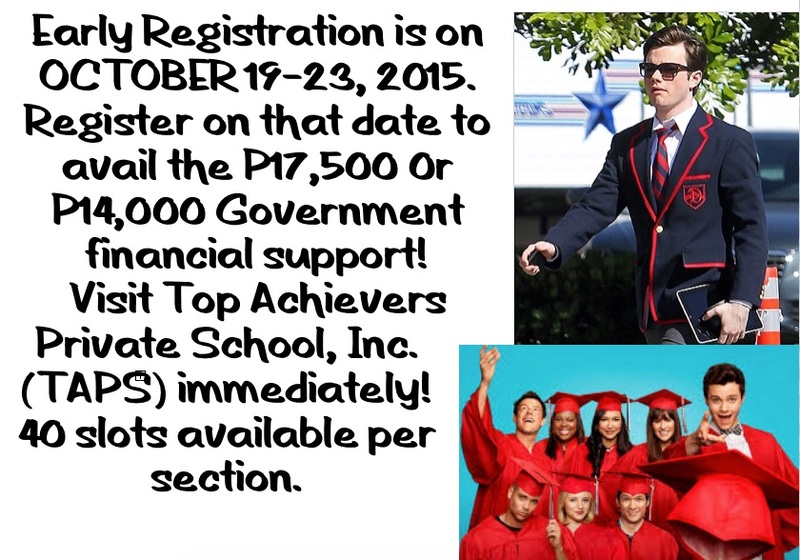 who want to continue their studies in College. 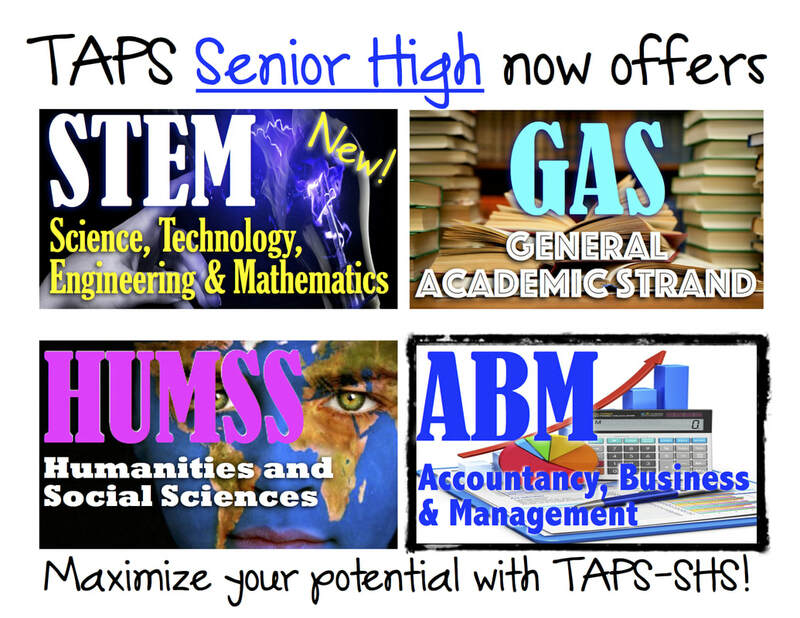 TAPS is the best choice for any course relevant to Accounting, Business & Management. 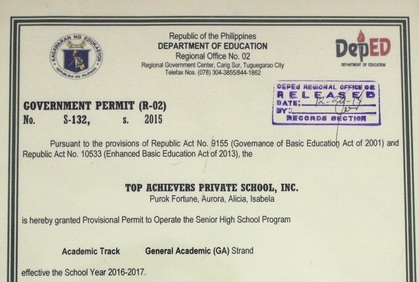 so that their Grades 11 & 12 will still be very productive. 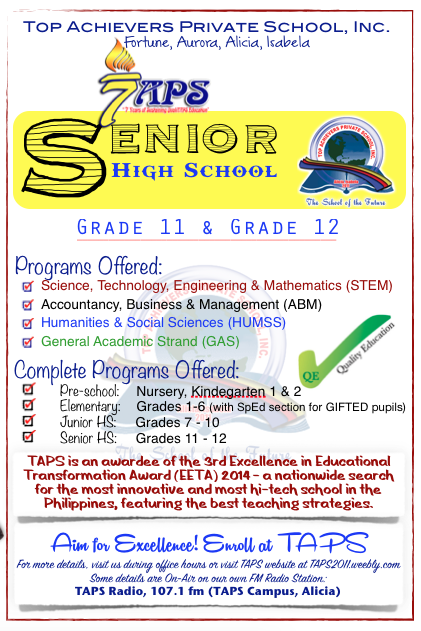 WHY TAPS is the best choice for Senior High School (Grades 11 & 12)? 10. 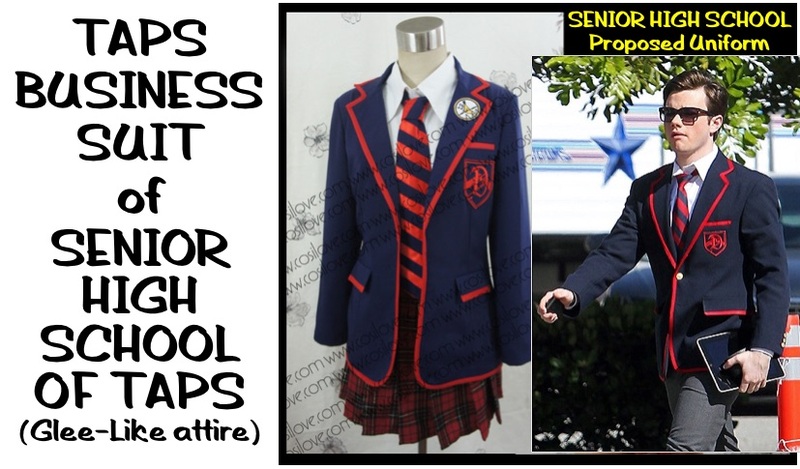 TAPS management is known of its utmost support to students for a better performance.